Ms. Marisa Colcord, Associate, joined the firm in August 2015. Originally joining the firm on the accounting and administrative side, Ms. Colcord was promoted to Associate in August 2017. 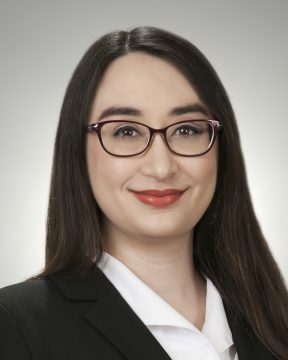 Ms. Colcord is active with the firm’s subsidiary company, Applied Best Practices, LLC, specializing in secondary market continuing disclosure services and compliance as well as California Debt & Investment Advisory Commission annual reporting. Prior to joining the firm, Ms. Colcord worked as a Sales Order Processor providing customer and invoicing support for Navien, Inc., a tankless water heater manufacturer, as well as in the Wells Fargo Home Mortgage arena as a Loan Operations Specialist and as an Administrative Assistant in the retail property management field. Ms. Colcord received her Bachelor of Arts degree in Studio Art from the University of California, Irvine.